The first thing you may have noticed about this page is the pensive pose of a young man on the cover of America's national chess magazine, Chess Life. 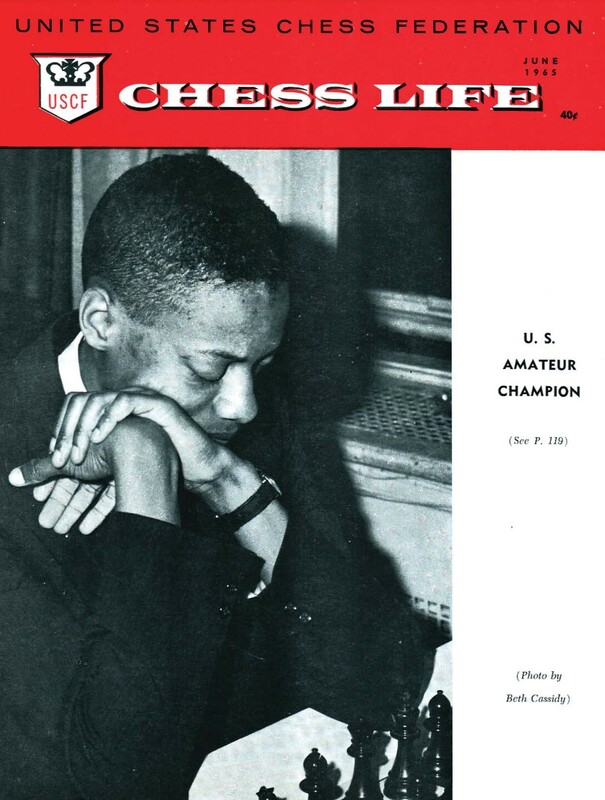 The figure on the cover is a living legend by the name of Frank Street, Jr.
Mr. Street was blazing the trails of the east coast chess scene in the 60s and 70s, and was the 2nd Black chess player to attain the title of National Master (behind Walter Harris). The Maryland resident won the prestigious U.S. Amateur Championship in 1965 and competed in the elite Lone Pine tournaments in the 70s. Mr. Street visited the Wilbert Paige Memorial tournament and one can still see flashes of his old form in his sharp repertoire. He asserts, "Chess has been a great way to meet people and it has helped me to develop the confidence to go into many other intellectual areas." Today, Mr. Street currently works in the space industry plotting trajectories for satellites for astronomical exploration. In the "not too distant future," he hopes to return to the tournament scene before officially retiring from the game. 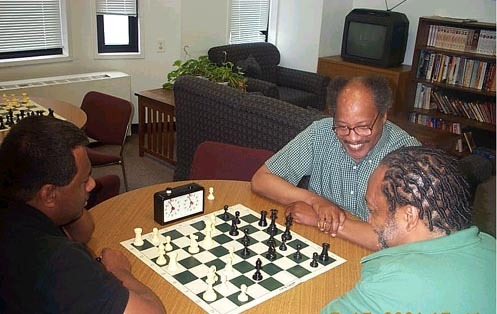 Frank Street (center) having a light moment with Willie "Pop" Johnson (right) while playing blitz with FM Ronald Simpson.